Daburn's plastic kinkless test wire has high flexibility, obtained through the combination of special soft-formula PVC and high-count, extra-flexible tinned copper wire. This light weight wire has a smooth, high gloss finish; elegant in appearance, with a high resistance to abrasion. Although designated as test lead wire, this construction is used in non-test lead applications requiring the high degree of flexibility offered by the 2722 series. The combination of performance, appearance, and economy far outweighs the modestly larger wire O.D. 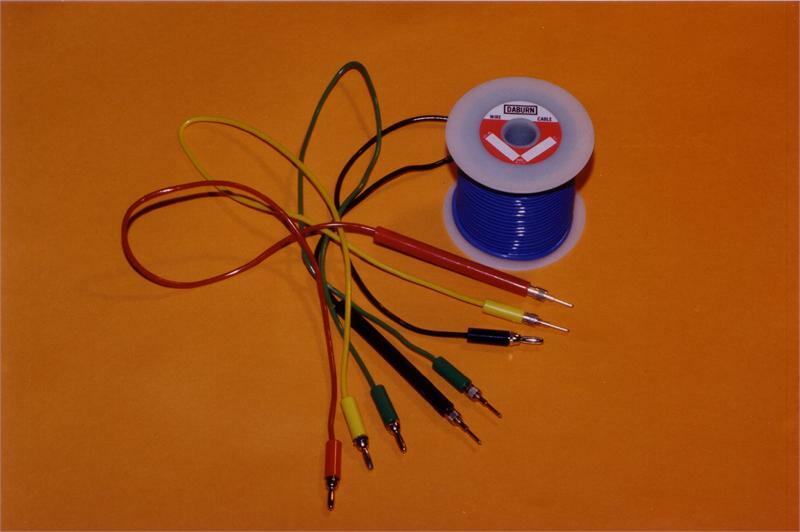 of the 5000 volt* rated test lead wire. 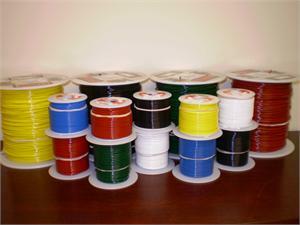 The wire is stable from -80°C to +80°C and exceeds the requirements of MIL-I-3930A, Type JP (PVC). It is resistant to chemical corrosion, and fungus. 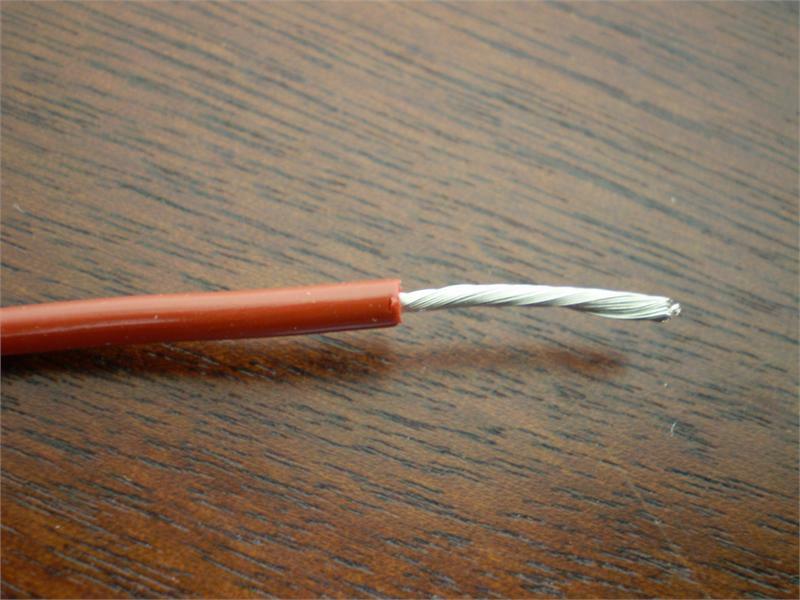 5000V* rated test lead wire. Description: One conductor stranded tinned copper, with a special formulation vinyl insulation for a bright, smooth, glossy surface. 2722/22 22 26/36 .032" .100"
2722/20 20 26/34 .032" .104"
2722/18 18 65/36 .032" .112"
2722/16 16 65/34 .032" .129"
Black, Red, Yellow, Green, White, Blue.